One week before his law school graduation, Jake Rutledge is shattered. His fraternal twin, Blake, has died of a drug overdose. When Jake returns to his hometown of Oakley, West Virginia, he discovers that his brother was not the only person hooked on opioid painkillers. The entire region has been ravaged by an epidemic insidiously planned and carried out by one of America's most powerful pharmaceutical companies. Still wet behind the ears, Jake is determined to seek justice for all the victims of Big Pharma's greed. He soon learns that the drug companies' tentacles reach far and deep. His only hope is to get Nicholas "Deke" Deketomis to help. A partner at one of the country's most powerful law firms, Deke's "as tough as a two-dollar steak" and well-known for his winning tactics against corporate wrongdoers. With just enough persistence, Jake coaxes Deke to see Oakley's devastation firsthand. Overwhelmed, Deke agrees to join forces with Jake. And that's when the real heat begins. Death threats, bribes, unlawful property seizure schemes - all are connected to the massive distribution of both legal and illegal drugs. Everyone is impacted, from the highest levels of corporate America to corrupt local officials to their lackeys and hapless victims. The complexity of the schemes is overwhelming. Working tirelessly, the lawyers begin to uncover the truth. Along the way, Jake falls in love with Anna Fowler, a former homecoming queen who has succumbed to the power of opioids. With his support, she weans herself off the drugs. Hope begins to bloom -- when suddenly, Jake disappears. As Deke undertakes a desperate search to find him, questions swirl. Has Jake abandoned Anna and his crusade? Can the case against the evildoers move forward without him? Will Oakley and its residents survive? 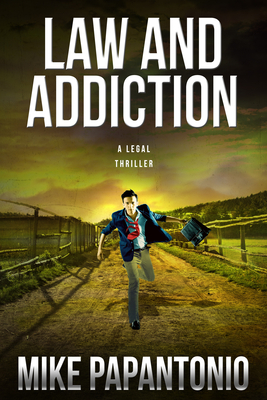 Law and Addiction is real-life drama at its finest -- a book that clears away the darkness page by page, spotlighting a profound truth about our society through expert storytelling.